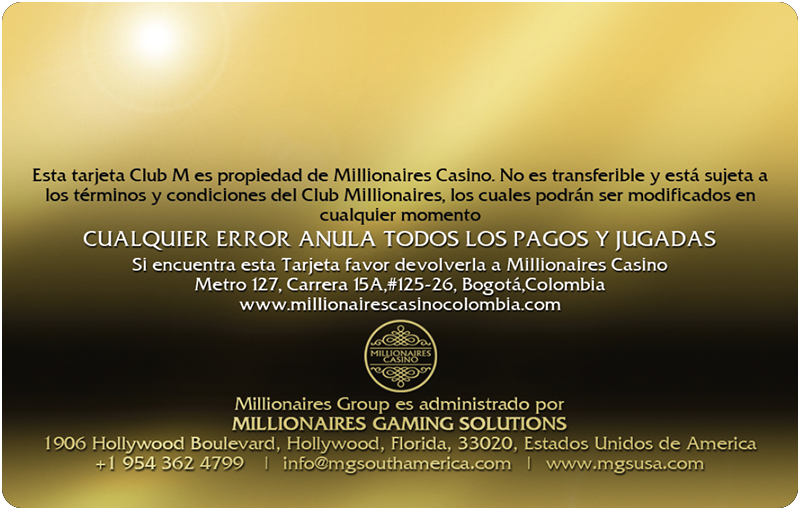 Millionaires Casino Bogota is home to a loyalty programme known as Club M. Membership to Club M is free and entitles members to a host of rewards and benefits. The Club M loyalty programme offers our guests 3 different loyalty card levels. Guests register for the entry-level card and accumulate points whilst playing slots or tables. As points increase guests have the opportunity to be awarded the next level loyalty card. For more information about our loyalty card levels and rewards per tier visit the Club M Desk or check in-house at the Club M Kiosk. Benefits and rewards coming soon. 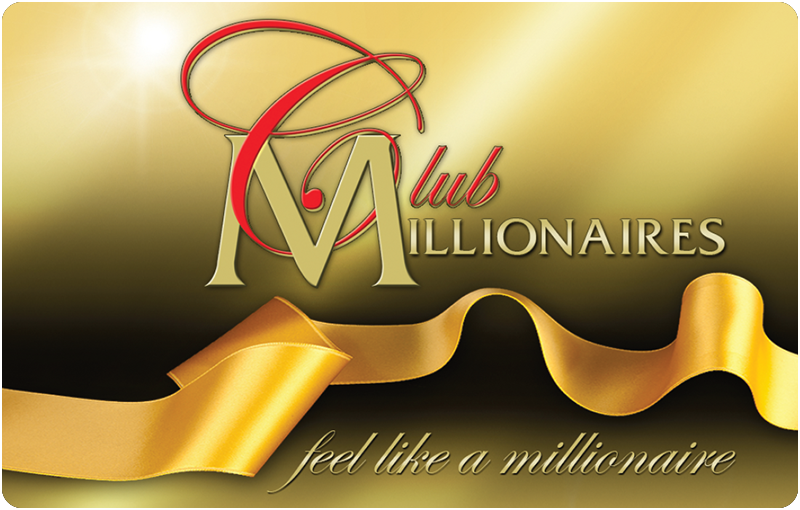 To join Club M please visit the Reception Desk at the casino and you will receive your Club M Card on completing an application form and showing your personal ID document / Drivers license / Passport. You may also join Club M online by completing the fields provided below. The Club M Desk will contact you by mobile and/or email when your card is ready for collection. Valid identification required when collecting your Club M card and must be produced on request. Insert your Club M card in the card reader. Once your name and your credit value is displayed, you are ready to play. Present your Club M card to the Shift Manager, Pitboss or Tables Supervisor. Check your points, update your details, load cash onto your card, purchase goodies, print draw tickets at the kiosk located in front of the cash desk. 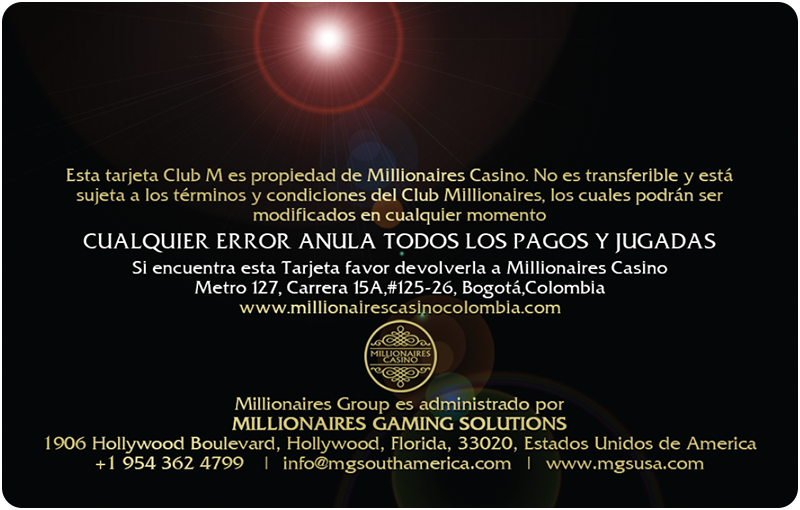 For further information, or to join the Club M free, please contact Reception or speak to a Manager when visiting Millionaires Casino Bogota. Members forfeit any special offers and benefits if the records show no activity for a six (6) month period of time. Note all points earned are valid for twelve (12) months only from date of earning them, and will be cancelled if not used within the (12) twelve month period. 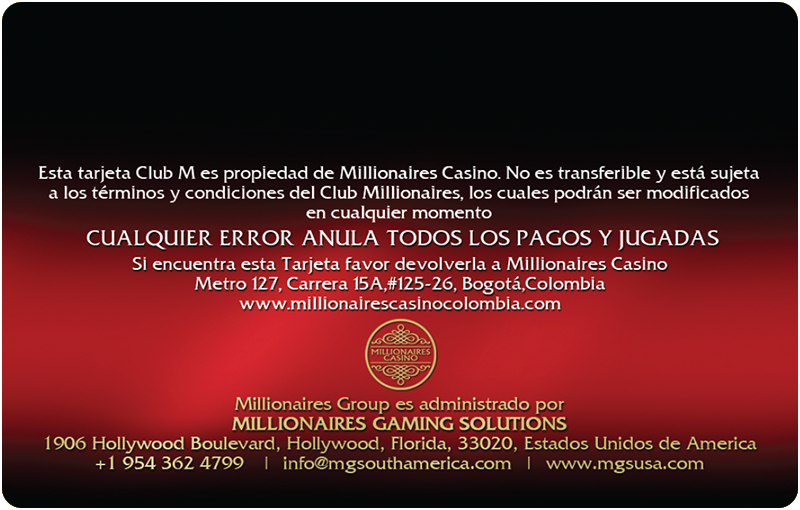 Club M Desk is located at the Entrance to Millionaires Casino. 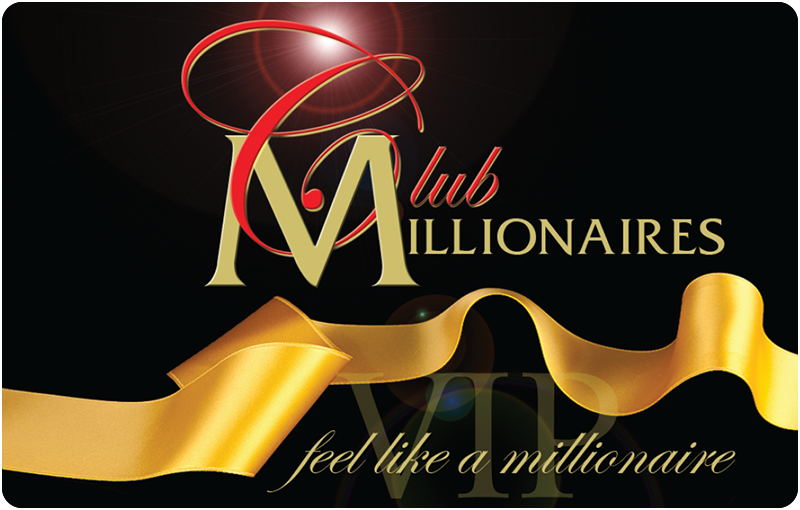 Club M Desk at Millionaires casino is open 7 days a week during operating hours for your convenience. 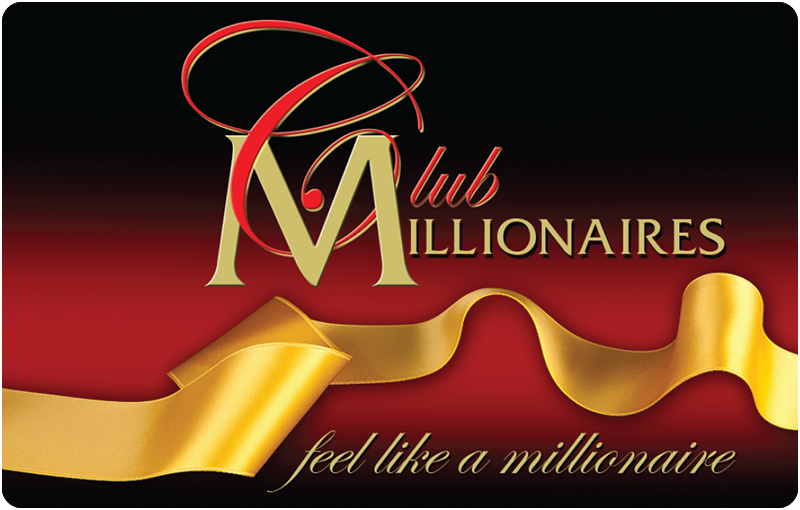 Club M is your passport to endless entertainment and brings you amazing benefits every time you use your Card.